Get relief from Cold and Flu Symptoms and bring Wellness to your entire Family in style with a Crane Warm Mist Humidifier. Featuring a sleek design, Crane's stylish Warm Mist Humidifiers provide up to 24 hours of soothing, bacteria-free moisture to help relieve the effects of dryness and congestion, helping you and your family to breathe easy and sleep through the night peacefully. The moisture that humidifiers add to dry air also helps alleviate many common nuisances brought on by winter heating such as static electricity, peeling wallpaper, shrinking wood, and cracks in paint and furniture. 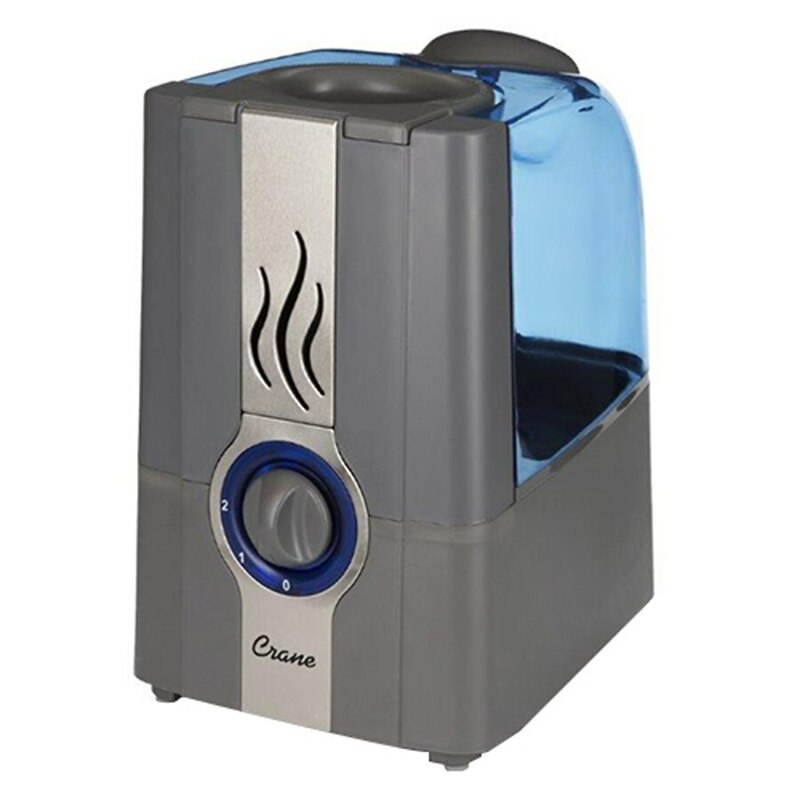 Humidifiers are an ideal choice for relieving the discomforts of nasal congestion, dry itchy skin and hair, chapped lips, nose bleeds, and dry throats. Recent studies by the Center for Disease Control have also shown that relative humidity levels between 43% and 60% helps prevent the movement of germs, including the flu virus.